5 Trending Memes That Everyone Should Know About! What do you do when your buddy tags you into a post and you can't understand the joke. These new memes could be hard to understand, so here are some of the most popular memes and its origins. We look into how are these memes used and how to use these memes online. 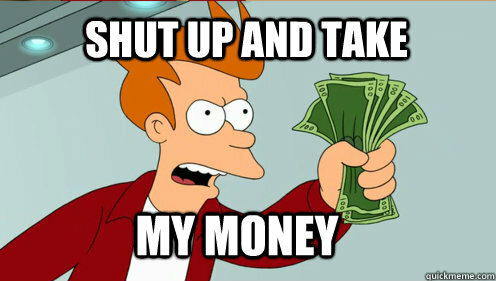 "Shut Up And Take My Money" originated from the show, Futurama, Season 6, Episode 3. This meme is used to when a user finds something great online and willing to pay hefty amount for that commodity. BBC News: Students in Canada have created a real Lightsaber. Me: "Shut up and take my money"
This meme is from the movie, Anchorman and the character is Ron Burgundy, portrayed by Will Ferrell. This meme can be found on any post where things blow out of proportion real quick. 3. You Know What Really Grinds My Gears? Birth of this meme can be tracked back to Family Guy' episode, where peter is a newscaster and he explains what grinds his gears. 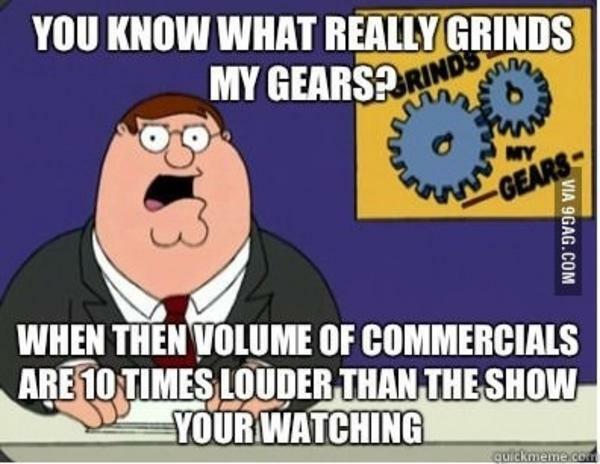 You know your day is not complete until something or someone annoys so much that you are forced to use Peter Griffin's meme to describe what truly grinds your gears. People who use memes incorrectly. 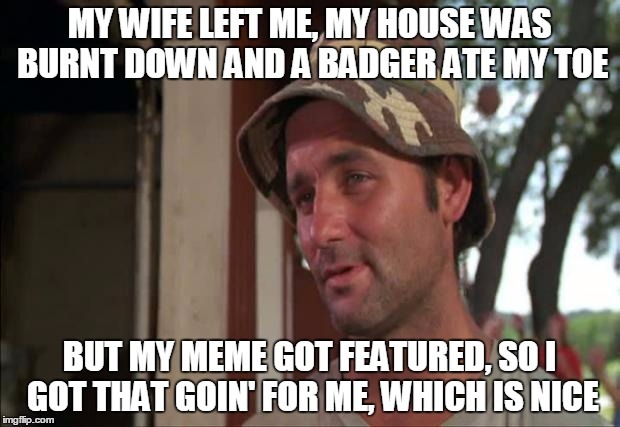 This meme originated during one scene in the movie, Caddyshack, where Bill Murray is telling his friend how bad his life is going yet he finds a silver lining, which is nice. I have seen this meme used in various places mostly by people whose life is not heading a great way and are affected by series of bad/sad events yet they find something nice in the whole situation and give themselves some hope. My wife left me, took my house, almost half of my money and my only car but I get to keep our dog, which is nice. 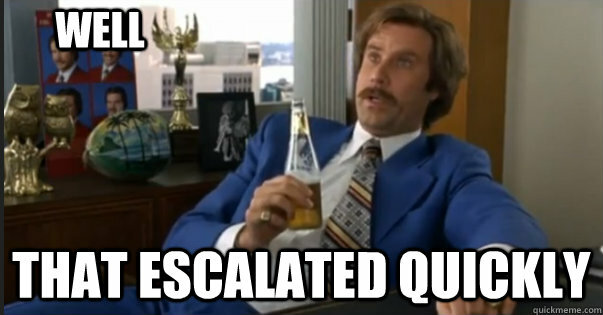 This meme came into existence when Austin Powers, portrayed by Mike Myers in the movie Austin Powers: International Man of Mystery, said those very words. This meme is used to show "brave" acts on social media such as; touching a 'do not touch' sign, pouring coca-cola in a pepsi cup, liking your crush's Instagram post from 4 weeks ago, etc. 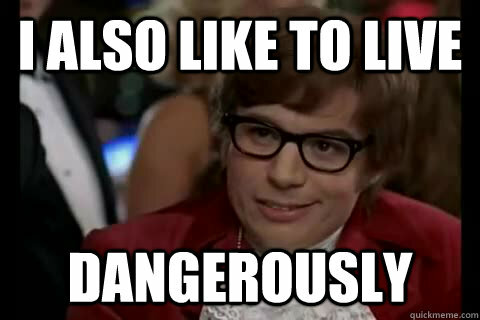 I unplug my USB without safely remove. I also like to live life dangerously.